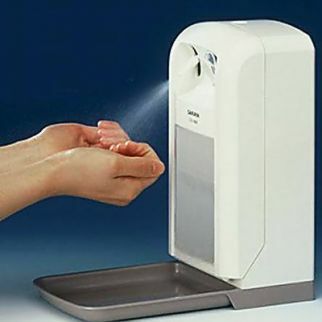 Alsco New Zealand offers heavy duty hand sanitisers that eliminate 99.99% of bacteria and efficiently prevent their spreading around your workplace – the idea is not to let them even leave the washrooms. Hand washing is the first line of defence against infections. in preventing the spread of illness. However, even the anti-bacterial soap can leave a couple of germs on your hands. At home, that is not a bit issue, but in a workplace where many people frequent, little by little, those numbers add up. Therefore, you need to step up to this challenge and offer hand sanitisers to your employees. The powerful alcohol-based liquid is sprayed automatically, in a no-contact system. By rubbing the liquid over the hands, you eliminate microbes within seconds. To ensure only your chosen sanitising liquid is in your dispenser and no mistakes occur in that regard, you can opt for locked units. Alsco’s dispensers spray the perfect amount of the liquid – enough to properly sanitise hands but also not too much, in order to remain economical. But, you don’t have to worry about the amounts of liquid your dispenser spends because that’s not your problem. Alsco replenishes them regularly and it is all included in your agreed rate. The automatic system of liquid dispersion allows for a no-contact operation. That is yet another way in which the contamination is prevented. 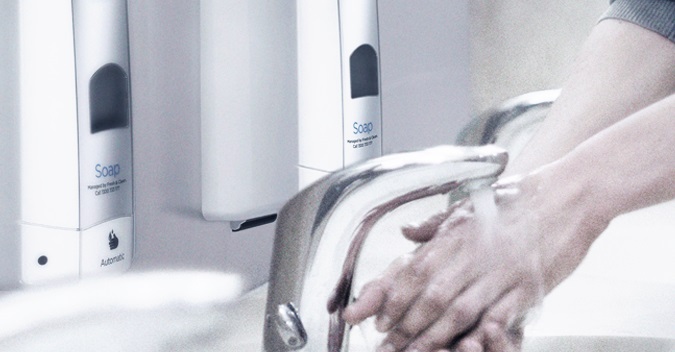 No matter your business – whether you’re in a commercial, industrial health or food industry environment – Alsco’s hand sanitisers are sure to keep your spaces cleaner and your people healthier. There is no business which can allow the germs to be spreading without control. Still, some businesses have stricter requirements in this regard like health or food industry. Alsco’s hand sanitisers will easily meet even their demands and help them remain sanitary and clean. And as part of our managed rental service, Alsco will install, clean, maintain and replace each unit – ensuring your experience is as convenient, affordable, and personalised as possible. The rapport and comradery between Alsco and TRT staff involved in service delivery was of a superior level. TRT has since handed over all ablution supply orders to Alsco. TRT has upgrade flooring in all departments and supports the initiative of Health and Safety messages on mats. The business relationship has also seen a three year agreement signed and an upgrade of lockers and cabinets in each of our 4 locations. I think the most important aspect of the relationship TRT has with Alsco is the very short response time with any communication or issue and this truly does confirm the professional culture within their organisation."